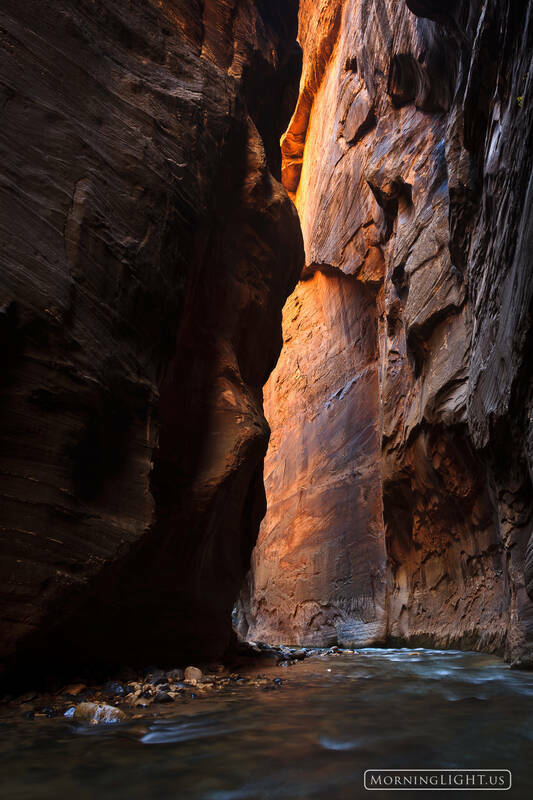 Sometimes while hiking through the Narrows you can see warm glowing light coming from around a corner. It is almost like you are at the entrance of a place of incredible wonder and can't wait to get around the corner. It beckons you onward on your journey through the canyon. Photo © copyright by Erik Stensland.